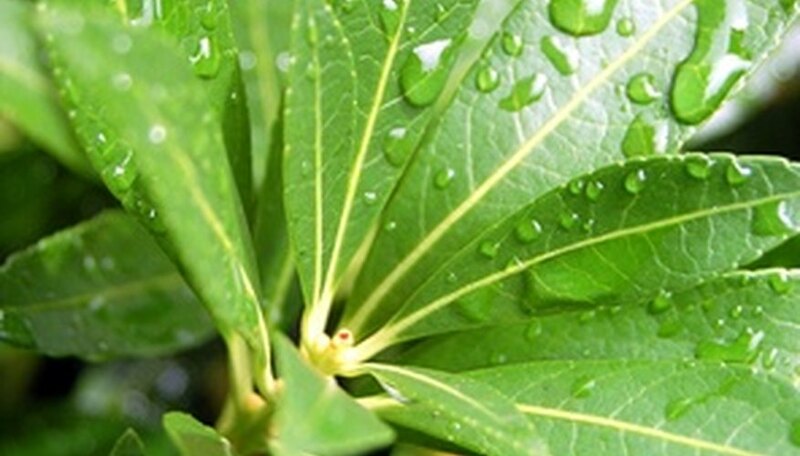 Plants use carbon dioxide as part of the process of making energy from sunlight. As part of that process, plants produce oxygen as a byproduct. The process of absorbing carbon dioxide and expelling waste oxygen is referred to as plant respiration. However, unlike animals, plants do not have lungs to help with the process of converting atmospheric gasses into energy. Like animals, plants also take in oxygen, although they produce more oxygen through photosynthesis than they use. Although photosynthesis is very important in plant life, it is not part of respiration. Photosynthesis uses the gasses absorbed during respiration. Plants respire all the time, but photosynthesis occurs only under light. When studying plant respiration, scientists must first block out the light to observe only plant-respiratory activity. Unlike animals, who have specific body areas for respiration, all parts of a plant respire, or breathe. Leaves, stems, flowers and even roots respire. One of the reasons that potted plants need repotting is to allow adequate air in the soil for root respiration. There are two structures for respiration above ground. Leaves have tiny structures in called stoma. The plural for stoma is stomata. Branches have similar structures called lenticels. Both of these structures absorb the oxygen needed by the plants directly from the air. Roots are structurally very similar to branches when it comes to respiration. Roots respire using the same type of structure as branches, lenticels. The lenticels take gasses from the air trapped between soil grains. This requirement for root respiration is why many plants require soils that drain well. If the soil retains too much water, it interferes with the ability of the roots to take the gasses they need from the air in the soil. Although plants breathe, or respire, all the time, they tend to breathe more during the day than at night. According to Kimball’s Biology Pages, plants transfer more than twice as much gas at 11 a.m. than they do at midnight. The cells responsible for respiration, the lenticels and the stomata, close at night when there is less light for photosynthesis. As light levels increase and photosynthesis starts again, these cells open to allow for more transference of gasses into and out of the plant.